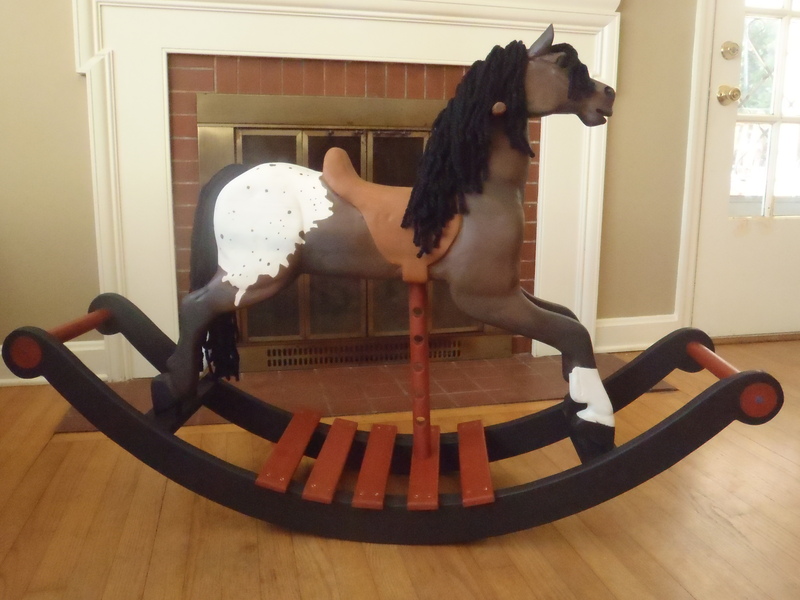 I started Heartwood Rocking Horses with a mission to inspire fun, play, movement, imagination and creativity in children. 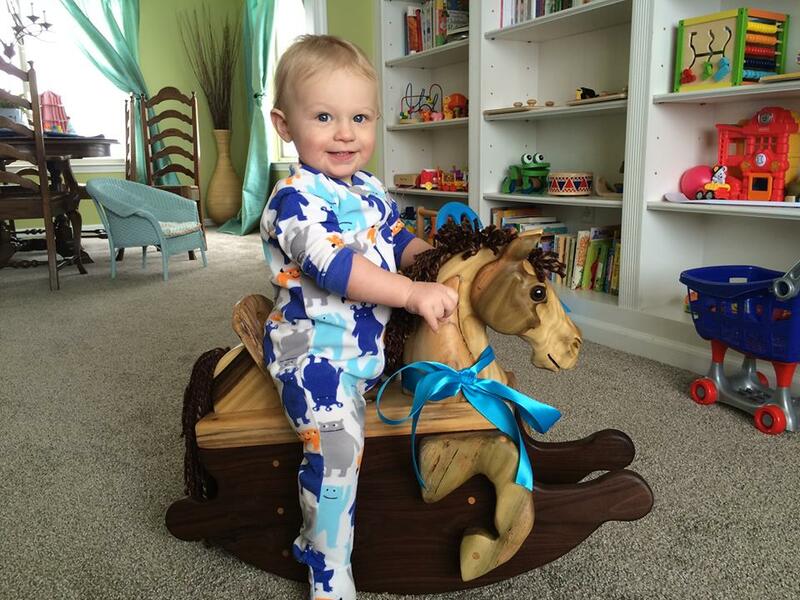 I hope to build horses that are both beautiful in the home and usable for children. Foot pegs and hand holds are added to make riding easier. The overall design is focused on fun, safety and durability. 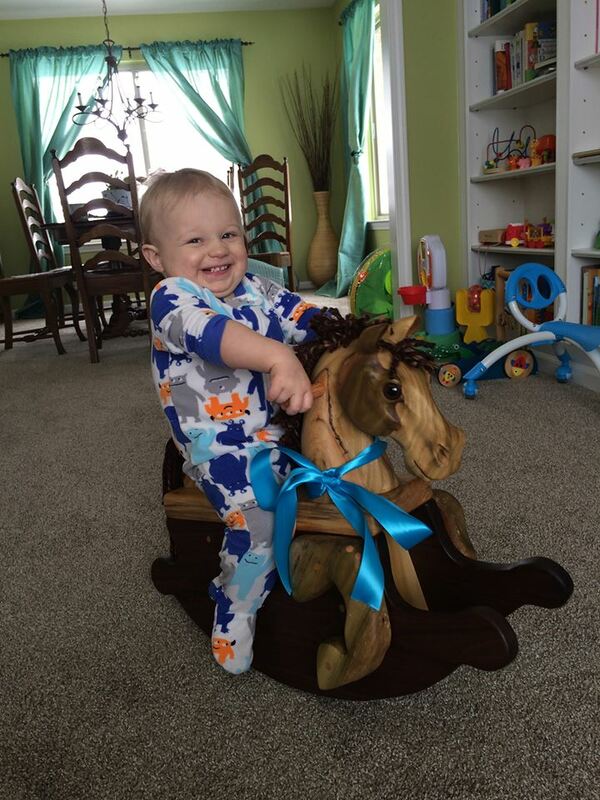 Many parents are looking for toys made with wood rather than plastic, that engage rather than pacify, and Heartwood horses provide just that! I have enjoyed watching young Heartwood horse owners develop movement skills by climbing all over their rocking horse, finding different ways to make it move. They develop creativity by imagining places to ride, by feeding the horse, brushing it, or putting it under their favorite blanket. Their horse really becomes a best friend, confidant, and playmate. Your horse will soon become a beloved member of the family. I love seeing pictures of riders enjoying their horse!